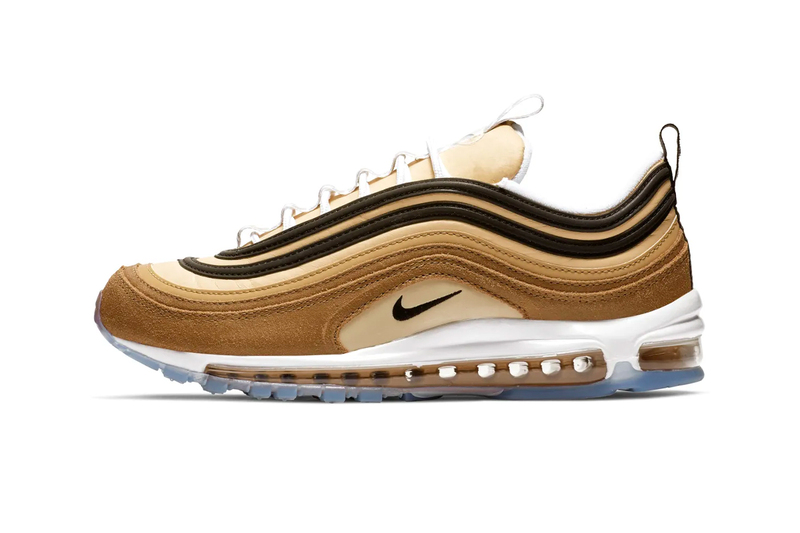 New Nike Air Max 97 silhouettes have been flooding in since the start of 2019, and this time we get a look at the shipping-inspired “Unboxed” colorway. To pay homage to the cardboard boxes used to ship sneakers, this AM97 model is dressed in various tones of browns on its wave-pattern upper, while a barcode placed on the outsole adds a final nod to the packages being scanned before shipping. The barcode motif then carries over to the right heel tab, while stripped tongues symbolizes the tape Nike uses for online orders. Located on the insole is a stamp of Nike‘s box certification from its Memphis factory. Interested fans can purchase the Nike Air Max 97 “Unboxed” starting Friday, January 18 at select Nike retailers, Nike.com and the SNKRS app for a retail price of $160 USD. Judging by the song’s title, would you expect anything else?